Not every father and son can claim the kind of relationship that Doug and Brad Deberti have, but suffice it to say they are blessed to work together 24/7 and to be each others best friends. They both have a love for all things automotive – Doug passed that passion to his son Brad at an early age and it has paid off. 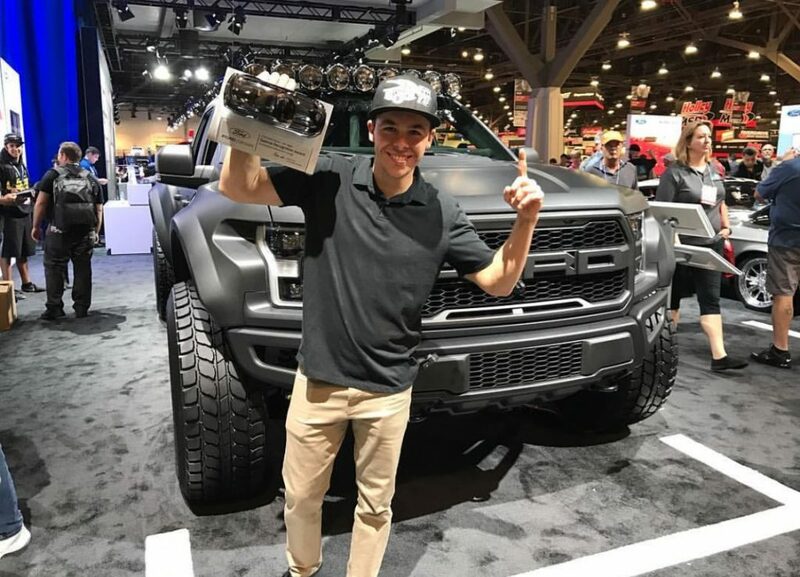 Brad recently won the 2016 SEMA “Young Gun” Award, as well as the 2016 Ford Motor Company “Design” Award, and was a winner in the 2016 SEMA “Top 10” Battle of the Builders. He is just 23 years old. Originally from Montana, Doug moved to California, started Trenz, and grew it to the largest aftermarket aluminum manufacturer in the country. Trenz specializes in billet grills and wheels. He worked closely with Ford, GM, and Dodge building prototypes, and those relationships eventually opened doors for numerous project truck builds. One of their recent builds was the Deberti 450, which debuted in the Ford booth at SEMA. Brad was right there working with Doug through every build. Over time, and after attending a Lucas Oil Off Road Racing Series (LOORS) competition last year, Brad was convinced he could be a successful Pro-Lite racer. He was 21 and had never raced before, but it turns out the rookie was right. 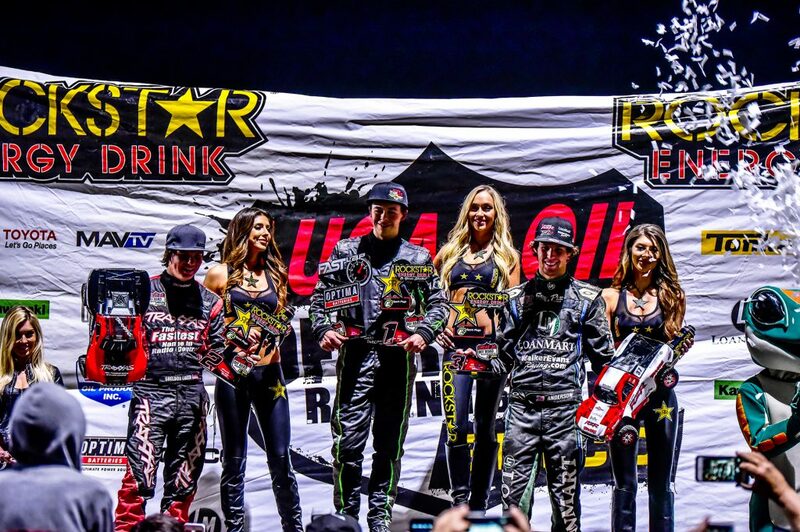 He led the entire LOORS Pro-Lite National Series with four 1sts, two 2nds and stayed among the top five all year, effectively putting rookie Brad Deberti on the map. Turns out at an industry dinner, Brad impressed Edsel Ford to the point that the Ford icon asked to be copied on Brad’s racing reports. Soon thereafter Brad got word he had been approved for a SEMA 2016 Ford F-150 project vehicle truck and was asked to build a Raptor Pre Runner. In six weeks. It won the Ford Design Award. Inspired by off-road racing, DeBerti Design developed a Luxury Pre-Runner to either cruise down the freeway or hard right turn into the Baja. 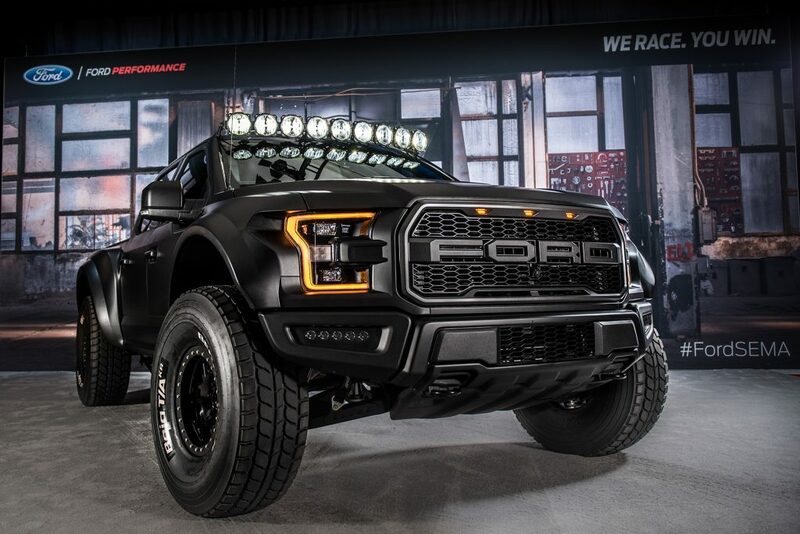 This Raptor Pre-Runner will set the pace for future builds in the industry going forward. With FMI suspension (19” front travel and 25” rear travel) extending the factory stance 3” on each side DeBerti Design stretched the factory fenders four inches to cover the 39” BF Goodrich tires on the Innov8 forged beadlock wheels. Fox rolled in their 4.0 bypass shocks to take any terrain while Alcon sent their 6 piston calipers to wrap around their rotors for ultimate stopping power. For more information about Brad Deberti visit here.